Traditionally in the desktop space, the next step after high quality air cooling has been high quality liquid cooling, usually centered around custom designed cooling loops that cost a pretty penny in equipment. The industry has met this desire halfway by producing closed loop liquid coolers for the CPU not unlike the ones we tested recently, but interestingly the real power monster in most enthusiast desktops has needed to be served by reference coolers and sometimes exotic custom solutions offered by partners. Any type of liquid cooling has continued to be the province of the more extreme enthusiast. Arctic Cooling changes some of that today with the Accelero Hybrid. Aftermarket VGA coolers aren't totally uncommon, but generally they're harder to build and market due to the more specific needs of cooling a graphics card. 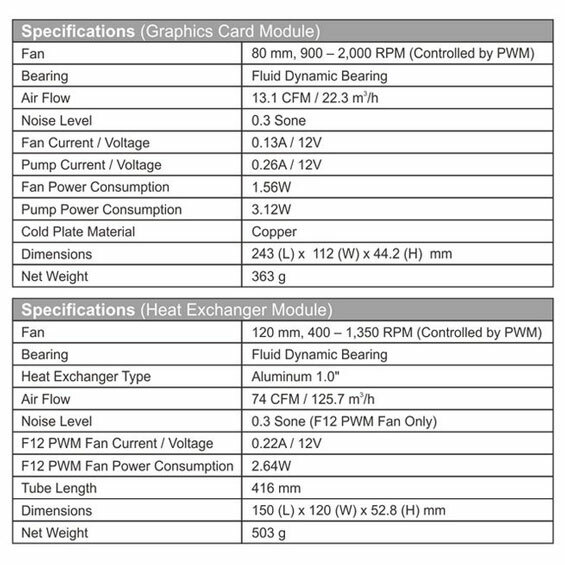 You have to cool the GPU, the video memory, and the voltage regulation, and the layouts of these parts varies from vendor to vendor and card to card. The Accelero Hybrid includes a 120mm radiator courtesy of Asetek, a cooling shroud for board components, and enough tiny parts to choke all but the heartiest of housecats. At $169, it also costs a pretty penny. Is it worth the effort, the money, and the risk? I'll make an admission: I've been putting off reviewing the Accelero Hybrid for a little while. 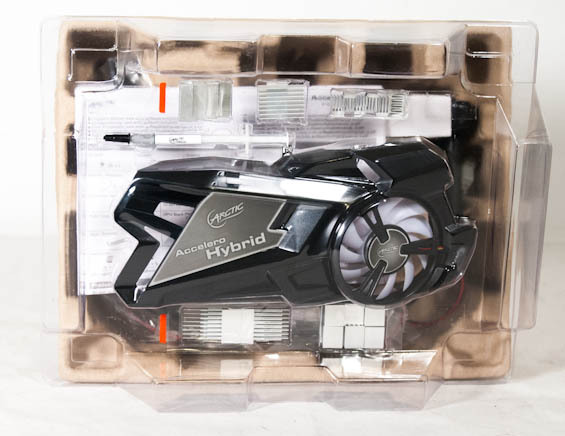 I'm not new to replacing the cooler on a graphics card, but the Hybrid is something much more involved. A visit to NewEgg or even to other sites that have reviews of it will tell you it's pretty difficult to actually install, and the idea of possibly bricking my GeForce GTX 680 wasn't a particularly pleasant one. At the same time, the promises Arctic Cooling make of the Accelero Hybrid's performance border on outlandish and even more interesting, judging from other reviews, the Hybrid seems to live up to those promises. While it's reasonable to expect the Accelero Hybrid to produce excellent performance, it's also easy to be skeptical. The RAM and VRM cooling is no doubt totally serviceable, but I've seen this particular Asetek radiator have a hard time keeping an overclocked Intel Core i7-2700K running under 70C. How am I supposed to believe it'll handle a potentially overclocked GPU pushing 200W or more and do so under 60C or even 50C? The only way to find out for sure is to test it.